Konami’s most recent foray into the videogame footie war will soon be on shelves in the form of PES 2017. 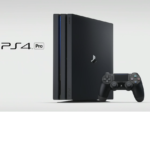 As someone who has an ongoing boycott against the company, as well as also playing PES 2016 for a brief period and finding it vastly inferior to EA’s FIFA 16, I will not be playing the game. However, despite Konami’s current fuckery failing to entice me to release funds from my wallet, that doesn’t change the fact that the company used to make some thoroughly excellent footie games. International Superstar Soccer for the Super Nintendo was probably the first real big studio release that really “got” the beautiful game. Games like Sensible Soccer had certainly understood what made the sport so great and had done admiral jobs of translating that into a very playable videogame experience. However, ISS was the first time a game in the genre had combined crisp football gameplay alongside a fully polished “big time” presentation. As good as “Sensi” was at recreating the action on the pitch, it was still a top down view and lacked the overall graphical strength of its rivals. As adventurous and polished as FIFA soccer was, its gameplay was still fiddly and didn’t have the overall “feel” of a football game. ISS combined both a hearty football soul with the glitz of modern presentation, and it quickly became the best football game you could get on the SNES, right up until its own sequel of ISS: Deluxe. 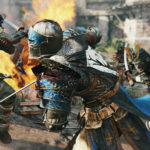 Electronic Arts, knowing that they had competition on their hands, realised they had to up what they were offering with such a good game to oppose them, and thus they began a near two decades of ensuring they had access to official licensing from all of the world’s major footballing authorities. And it wasn’t just Konami they had to worry about in the late 90s either. Football games were everywhere during the fourth and fifth generations of gaming. Far from being the duopoly it is today, companies from all over were throwing their hats into the ring to try and compete with EA and Konami. Gremlin tried their hand with their Actua Soccer series, Sensible Software continued to work on Sensi games, Silicon Dreams were pumping out World League Soccer games, and even football boot giants Adidas had a foray into the medium with their Power Soccer series. 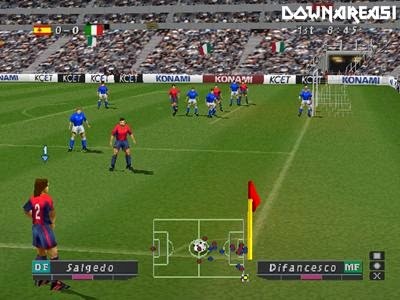 Some of these games were good, such as Actua Soccer 2, and some were absolutely abhorrent, such as Chris Kamara’s Street Soccer, but both Konami and EA were able to continuously bring out games of quality, even if it took EA a bit longer to nail down a gameplay formula that lived up to their excellent presentation. The peak of football gaming during the fifth generation must surely have been the one-two punch of ISS Pro 98 and FIFA 99. When you look at how good both of these games are, while still being different from one another, it really is no surprise to understand why nearly 20 years later both Konami and EA are still standing. FIFA 99 not only retains the, then expected, “FIFA Shine”, but it also combines it with finely tuned and very enjoyable gameplay. Passing, previously clunky and unsatisfying for the FIFA player, has been given a big overhaul and it actually feels like passing finally “works” after years of frustration. Meanwhile, ISS Pro 98 enjoys not only the best graphics ever seen in Konami’s series up to that point but exceedingly satisfying gameplay to boot. A good placed through ball will split a defence with satisfying splendor, and the “thud” each time a player puts his laces through the ball is never not enjoyable. So, with two great games in the bag, it seemed to make sense that both EA and Konami would then deliver more of the same with their two follow up titles, which is exactly what they did with FIFA 2000 and ISS Pro Evolution, respectively. And indeed, both games were still able to provide an enjoyable kick about, but you just couldn’t kick the feeling that they fell short of their superlative predecessors. 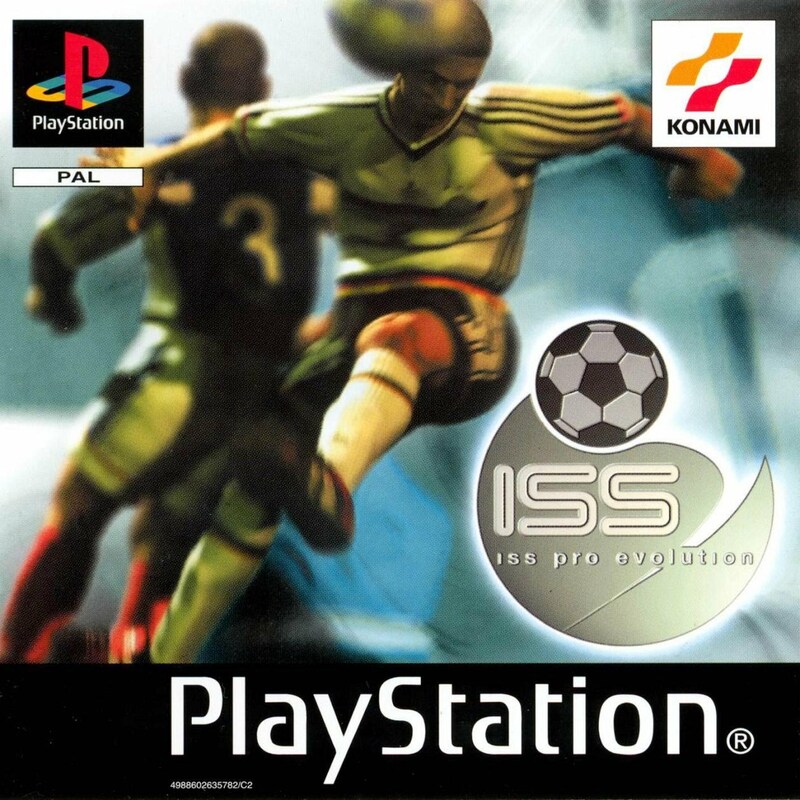 Anyone who has played a Konami football game will probably find they are able to get right into playing ISS Pro Evolution with little difficulty. Square is shoot, X is pass, Circle is long pass, and Triangle is through ball, with R1 as run. The pace of the game is considerably more hectic than it is today, but you can still pass the ball around and go for a possession-based style of play should you wish. What I often found was that I’d get it on the wing and pump crosses into the box, especially when playing as England because Andy Cole terrorises opposing defences at will. Like previous games in the series, Konami didn’t feel the need to get the official licenses for player names, but it’s pretty obvious who everyone is thanks to some canny incorrect spelling. Cole, for example, appears in the game as “Coal”, and Paul Ince makes an appearance as “Inse”. The game also features an edit mode, so you can change player names should you wish, and if you were an avid player of ISS Pro 98, you can actually import your squads from a memory card. It does save you having to edit everyone’s name again, which is a nice concession by the developers. Graphically, the game looks better in some areas and worse in others when compared to its predecessor. Stadia, for example, is a vast improvement over the previous game, with more stadiums to choose from and the ones on offer being much more detailed. There’s an excellent recreation of the old Wembley Stadium for instance, even down to the iconic scoreboard. Players are slightly less detailed in order to make up for this, but weather effects are well realised. As a whole, the game doesn’t look too bad but it just has a slightly grittier feel to the previous release. ISS Pro 98 just generally feels brighter and more colourful in its overall presentation. In a chase for realism, Konami have sacrificed some charm, which makes the game slightly less pleasant on the eyes, even if the gameplay is still tight and well imagined. ISS Pro Evolution brings back the “International Cup” (essentially just the 32 Team FIFA World Cup without using the name) and also brings back the “International League” where you can face off with up to 15 rival sides in a full season battle for the prestigious league title. Winning the International Cup is genuinely a lot of fun as your team goes on a full scale mass celebration at the end, complete with players running around in their vests and unnamed men in suits sprinting across the pitch in utter delirium. 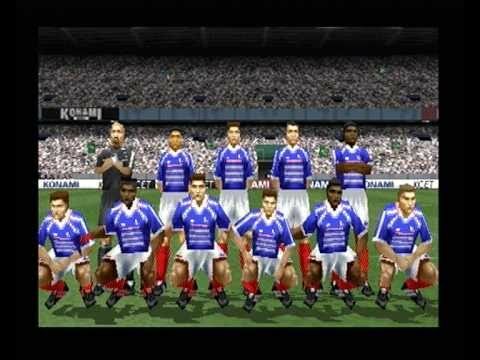 This stands as a perfect example of how the ISS and later PES series really “got” what football was about, and it took EA a long time to catch up with it. Football is about more than just the football match, and the best football games are able to recreate this. 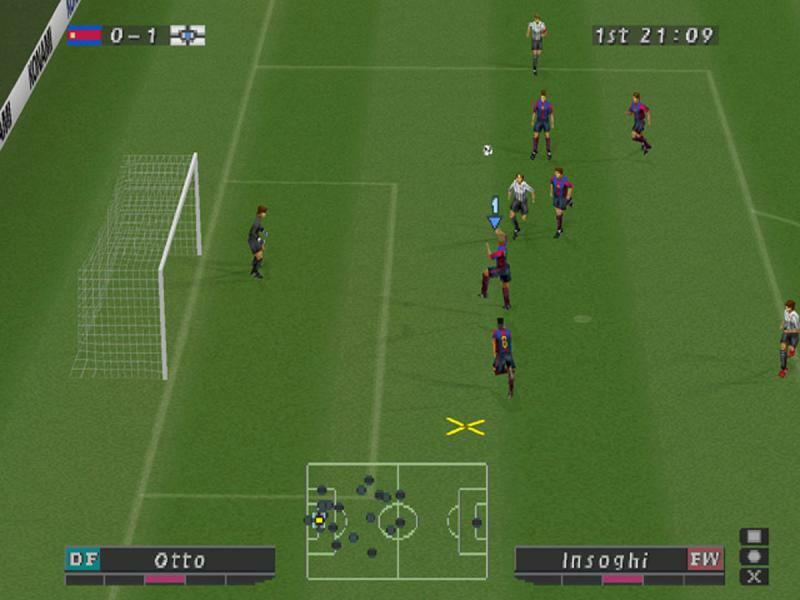 ISS Pro Evolution is noteworthy for being the first Konami football game to include the obsessive mode known as the “Master League”. You can choose from 16 club teams and can build your own super team as you lead them to greatness. One of the most enduring modes in football games, this version of it clearly needs work, being that it’s the first, but it certainly gives the game that little extra bit of relevance it might not have had otherwise. The clubs themselves are unlicensed, with just city names used to represent each team, but it’s easy enough to work out who the team playing in red from Manchester are supposed to be. To conclude, ISS Pro Evolution is certainly not a bad game. It’s still very playable even today, and you can probably find it dirt cheap if you’re not that bothered about owning it boxed or with the manual. I’m still of the opinion that ISS Pro 98 is the better game, but you could do far worse than spend some time with ISS Pro Evolution. I picked this game up from Retro-Reload in Stockport. If you’re ever in the North West and looking for a great Retro gaming store, then pay them a visit! Looking for other great content here on the site? Well, then take a goosey gander at the following!